Mangroves are among the world’s greatest carbon sequestering ecosystems, absorbing CO2 from the atmosphere and storing it within their rich soils. 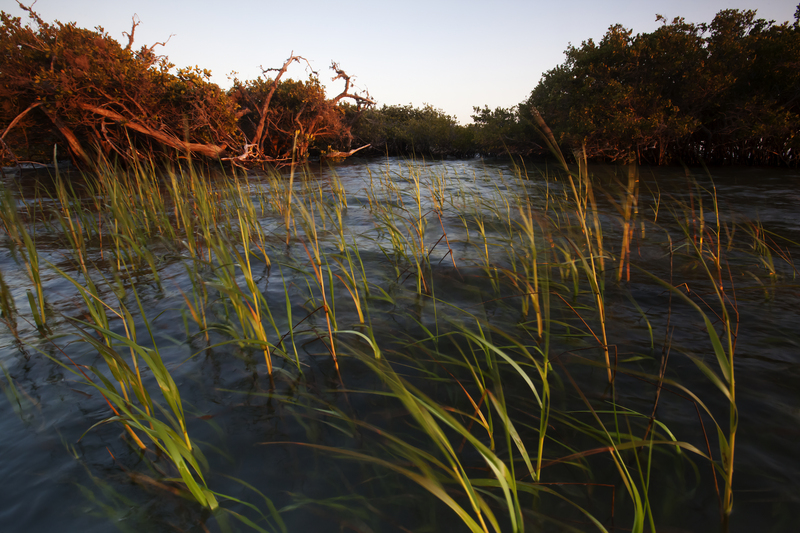 Mangroves provide natural protective barriers against storm surge, coastal flooding and wave erosion for delicate coastlines and communities. Mangroves around the world are disappearing at a rapid rate due to coastal development, agricultural and aquacultural expansion as well as deforestation. The vast mangrove forests WILDCOAST is helping conserve provide refuge to gray whales and migratory birds, offer important nursery habitat for commercially valuable fish and act as a natural buffer against storm surge and sea level rise. We protect mangrove forests in the Gulf of California, Bahia Magdalena, and Oaxaca through federal zone concessions, blue carbon credits, monitoring and outreach. 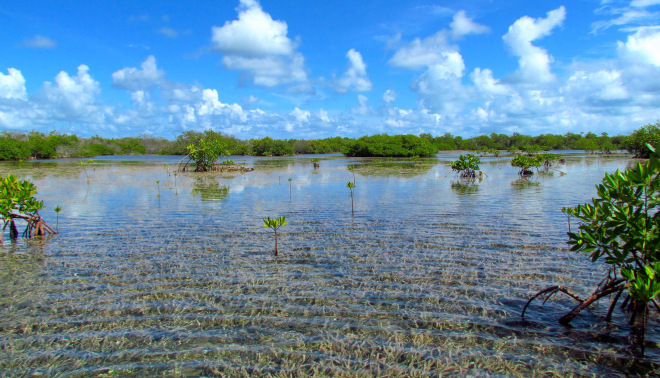 We work in partnership with Mexico's National Commission for Natural Protected Areas, researchers, and local communities to conserve mangrove forests and establish protecting for additional acreage. 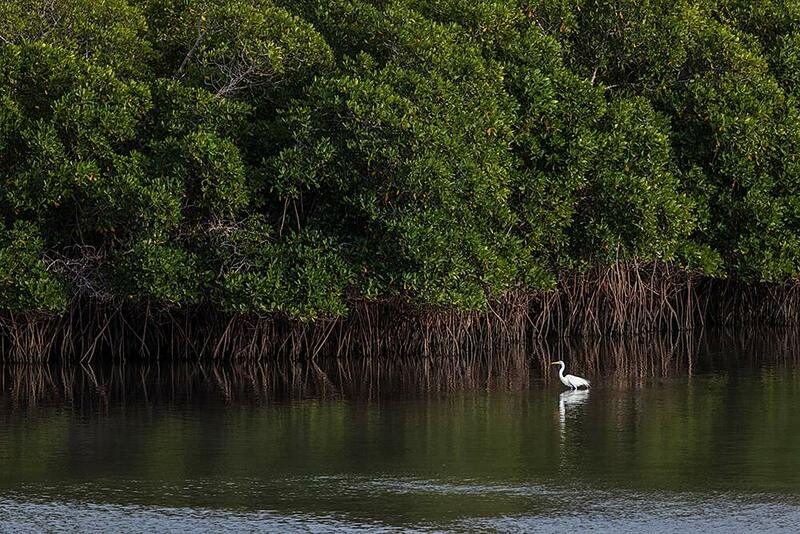 Our programs ensure the protection of vast areas of mangrove forests throughout Mexico and Cuba. Coral reefs play an important role in sustaining our oceans and global economies. 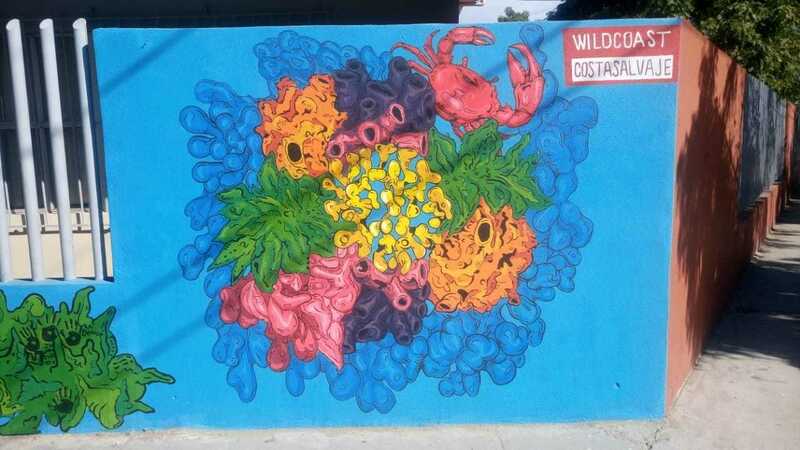 WILDCOAST is working to conserve coral reefs throughout Mexico and Cuba by establishing protected areas and promoting reef stewardship and education. The gray whale winters and breeds in Baja’s warm, pristine lagoons—an area threatened by industrial development. Together with the local government and conservation groups, WILDCOAST is defending this vital shoreline. As global temperatures rise, sea levels are climbing. 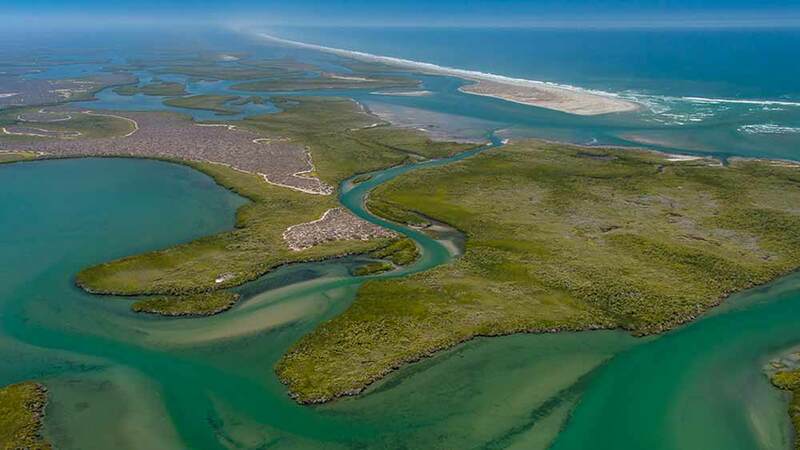 In partnership with Mexico’s National Commission for Protected Natural Areas, WILDCOAST is helping conserve thousands of acres of carbon-storing mangroves in northwest Mexico. In 1971 the Ramsar Convention on Wetlands of International Importance was signed as an international treaty for worldwide wetland conservation. Wetlands are recognized for their ecological importance on a global scale, acting as buffers for coastal communities and providing important habitat for thousands of species. Spanning the Baja California peninsula are millions of acres of protected areas that include open ocean, rugged islands, mangrove lagoons and wilderness coastline. Sea turtles are key to healthy oceans but now face extinction. WILDCOAST is conserving sea turtles by protecting nesting beaches, addressing poaching and support local communities in sustainable practices. From the rugged coast of Northern California to the vibrant shores of Oaxaca and across borders, the oceans connect us all. Our programs establish new marine protected areas, deter poachers and build conservation capacity in local communities.